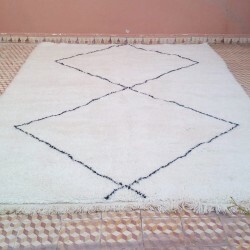 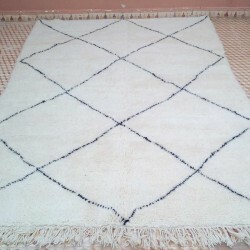 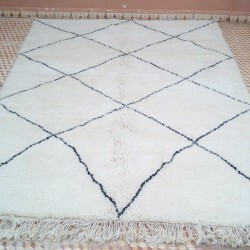 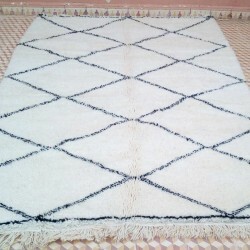 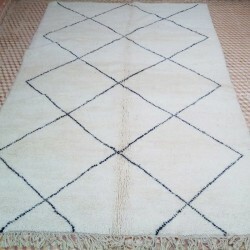 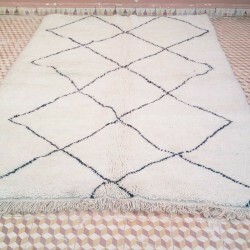 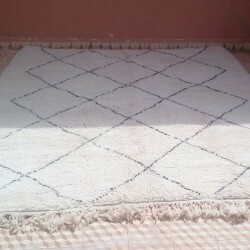 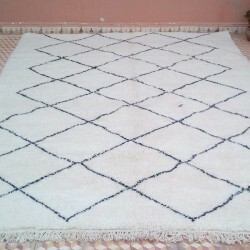 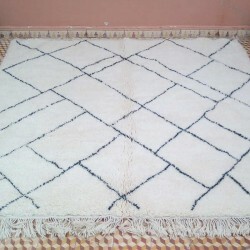 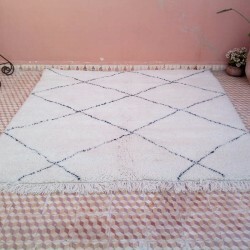 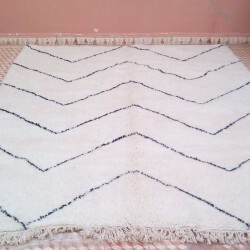 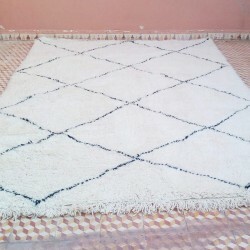 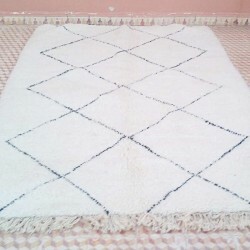 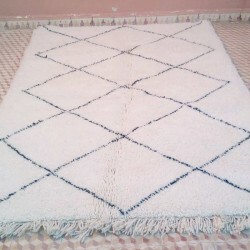 Beni Ouarain rug from the Middle Atlas Moroccan mountain. 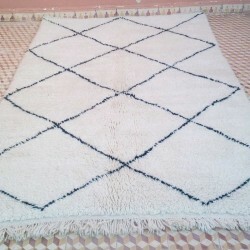 Ivory and black brown color rug. 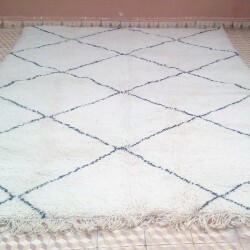 The Beni Ouarain ethnic group is a large population of 17 Berber tribes living in the Middle Atlas mountain in Morocco, located on the Northern. 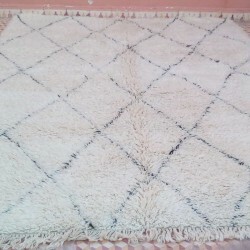 They produce a high quality sheep wool mainly used to make these rugs. 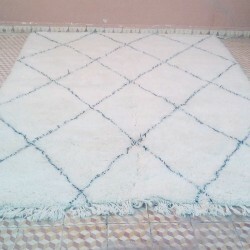 It is the best way to protect themselves against the cold by using it on the ground. 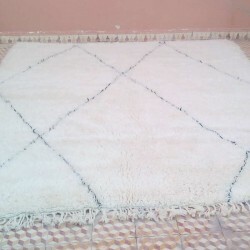 That's why these rugs are son thickness.